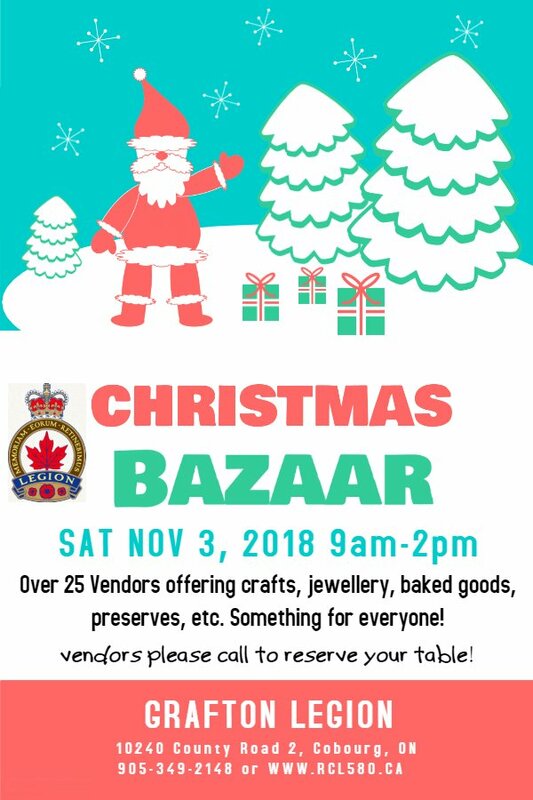 Come to our Christmas Bazaar on Saturday November 3, 2018 from 9am to 2pm. Over 25 vendors offerings crafts, jewellery, baked goods, preserves and more! Something for everyone! Held at the Grafton Legion, 10240 County Road 2, East of Cobourg. As of Oct 23, all Vendor space has been reserved.